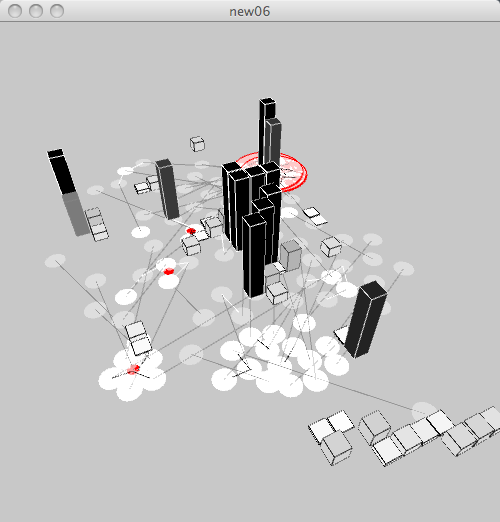 First attempts at modeling urban growth in Processing. 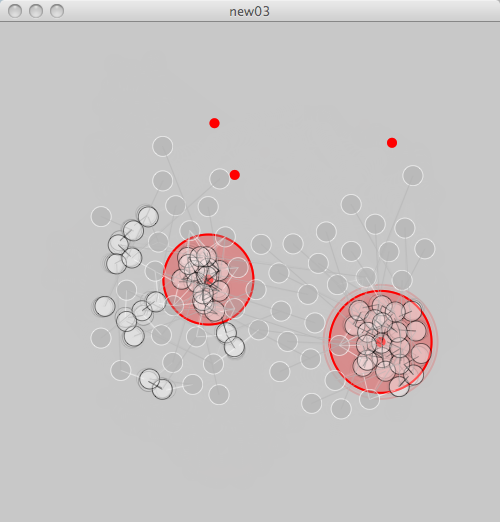 On the left, a set of agents (white circles) are attracted to hot spots (red dots) which are generated randomly in the space. On the right, the density of agents is tracked over time through accretion of building volumes. This entry was posted in DNYBLE, swarm. Bookmark the permalink.